This stock market doesn't obey speed limits. 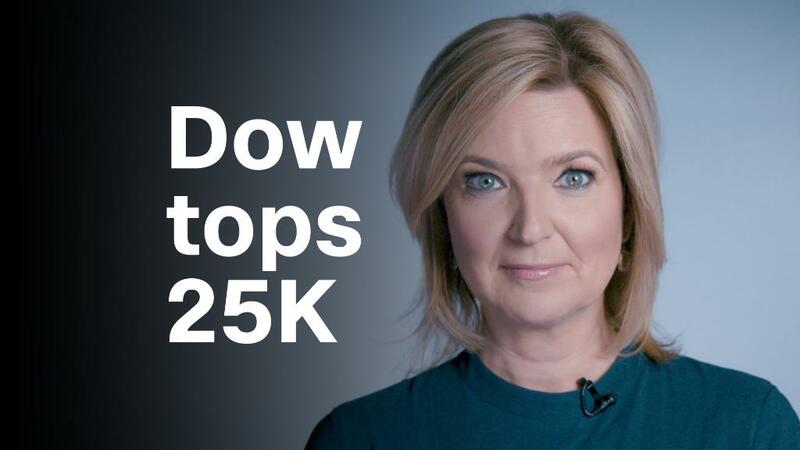 It just blasted through another barrier: Dow 25,000. The breathtaking pace of the market's rise shows how excited Wall Street is. Corporate profits are gigantic, American economic growth is accelerating, and Trump just enacted a massive business tax cut that could strengthen both, whether they're needed or not. "We have been moving up extremely fast," said Howard Silverblatt, senior index analyst at S&P Dow Jones Indices, which owns the 30-stock Dow. "It's amazing and begs the question: How high can this thing go?" Consider that it took the Dow 14 years to climb from 10,000 to 15,000 and three and a half years to reach 20,000. The ride from 20,000 to 25,000? Not even 12 months. Don't blink or you'll miss another landmark. The U.S. economy is very healthy, especially compared with the slow recovery from the Great Recession. Unemployment hasn't been this low in 17 years. Economic growth is the best in three years. Equally important, most major world economies are growing at the same time for the first time in several years. Related: Can the stock market bull keep raging in 2018? "Unlike the bull market that ended in 2000, this one has earnings behind it," said Silverblatt, alluding to the dotcom bubble that was built on illusory profits at Pets.com and the like. "The fundamentals are good. The economy is strong." That's a big reason why the Dow soared 25% last year, its best performance since 2013. The Dow's post-election boom has been led by enormous gains from Boeing (BA), Caterpillar (CAT) and Apple (AAPL). All three are thriving because of the economic momentum at home and abroad. The stock market also owes Janet Yellen some thanks. Under Yellen, the Federal Reserve has kept interest rates extremely low to allow the economy to heal. Low rates have forced investors to take risks by betting on stocks. They've also kept borrowing costs unbelievably low. Although Yellen is leaving, her replacement, Jerome Powell, has promised to raise rates at just a gradual pace. After the incredible rise, a pause would be healthy. The S&P 500 hasn't fallen 3% from a previous high point, over one day or several, since November 2016. That's easily the longest stretch on record. "We are definitely long overdue," said Sam Stovall, chief investment strategist at CFRA Research. "It's just a matter of time."